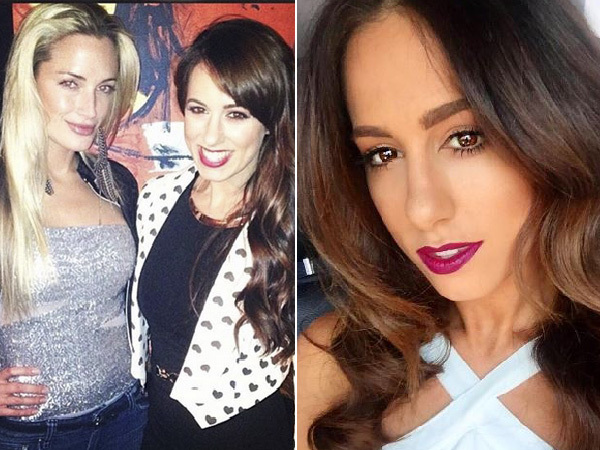 See Gina Myer's heartrending tribute to her slain best friend Reeva. They were best friends. As close as sisters. It was Gina Myers, a make-up artist from Johannesburg, who helped her friend, Reeva Steenkamp, dress for her first date with Oscar Pistorius, according to the Evening Standard. Barely three months later Reeva was shot dead. By the man she was so excited about on that first date. It was Gina’s dad, Cecil, and brother, David, who identified Reeva’s body. Time after time Gina sat in court GD, listening to the evidence connected with her friend’s death. The friend who became a part of her family after moving in with them in Johannesburg. For most of the time during Oscar’s trial Gina was silent. But not any more. In a moving tribute to Reeva, or Alfi as she always called her, on Instagram, Gina says she’d always been hesitant to talk about Reeva. But not any more because “that’s silly”. “You were a person to love, not just by me but by everyone,” Gina writes. “I think the biggest gift to someone who has passed on is to speak about their love and memories. To embrace their souls. To bring light to their life when they can't be here physically to do so. “I think that if you have the stories you should share them. You should shout it loud. Speak to their life. Speak to their dreams. “I didn't. I was told not to. I was asked not to. I became scared to. But I am now. I will now. Always. Forever. I miss you Alfi. Thank you for your whole lot of love? ?” Gina concludes. I used to be hesitant to talk about you. But that's silly. You are a whole of person to love, not just to me. To everyone. I think the biggest gift to someone whose passed on, is to speak about their love and memories. To embrace their souls. To bring light to their life when they can't be here physically to do so. I think that if you have the stories, you should share it. You should shout it loud. Speak to their life. Speak to their dreams. I didn't. I was told not to. I was asked not to. I became scared to. But I am now. I will now. Always. Forever. I miss you Alfi. Thank you for your whole lot of love?? I'm a 57 year old man looking to meet women between the ages of 45 and 62. I'm a 44 year old woman looking to meet men between the ages of 40 and 55.